I was interviewed recently by a journalist for Bloomberg Law regarding worksite enforcement efforts. The focus of the story was the mismatch between government resources and enforcement needs, all the way from conducting audits of employers to holding hearings for violators served with fine notices. It's an important story and was reported well, something I can't always say about my interactions with the media. At the end of the system, there is indeed a mismatch that could lead to a backlog of worksite enforcement hearings, which I described as a pig-in-a-python effect. And at the front, there are a finite number of auditors, which limits and potentially undermines the reach and effectiveness of a renewed worksite enforcement program under the Trump administration. But because the focus of the story was on the mismatch — not enough auditors at Immigration and Customs Enforcement (ICE) to conduct inspections of employers' I-9 verification forms used to verify the work eligibility of employees, and not enough administrative law judges at the Office of the Chief Administrative Hearing Officer (OCAHO) to bring the cases to finality — not all of my observations ended up in the published article, and I think they are worth repeating here. One thing I noted that was included in the article is that it doesn't require auditors to review I-9s. Agents are perfectly capable of doing it and some ICE Homeland Security Investigations (HSI) offices don't even have auditors; they are staffed only with agents. 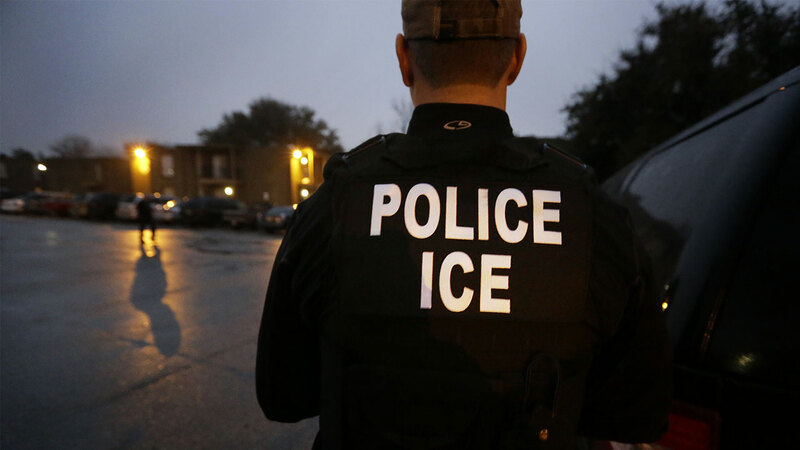 (HSI is the division of ICE charged with worksite enforcement.) The deeper problem here is that many HSI agents — and indeed much of their leadership — disdain immigration work of any kind (see here and here) and so only give lip service to I-9 compliance audit efforts. It's also important to remember that audits aren't the only kind of worksite enforcement and are in some ways the least significant, since they focus on paperwork and not on more serious issues such as employers who engage in a pattern-and-practice of relying on illegal aliens to do their work, or who misuse their illegal workforce through unsafe or abusive working conditions or pay. Those kinds of worksite enforcement investigations merit serious attention, and often involve criminal violations. The mismatch between businesses and government resources doesn't, to my way of thinking, suggest that employer enforcement efforts (which petered down to almost nothing by the end of the Obama administration) should be abandoned, any more than police should abandon road and highway enforcement just because there are more drunk drivers, speeders, and red-light-runners than officers to catch them. The Justice Department should address the lack of OCAHO judges, just as it has with immigration judges. But it's also worth noting that many fine notices are settled before ever going to hearing. Often it is in the employer's interest to do so, as the fines can be negotiated down substantially, saving time and money and allowing the employer to focus on its core business enterprise rather than on litigation. Importantly, we should recognize that there always has been, and always will be, a huge mismatch between the number of business in the United States and enforcement resources available — just as is the case with tax compliance. That is why it is incumbent on ICE and its parent Department of Homeland Security to do a better job of creating a strategy for its auditing and "hard enforcement" efforts in the workplace, as the Internal Revenue Service does for tax compliance. This suggests not only an element of small but select random sampling, but also targeted efforts focused on industries that are known to use high concentrations of unauthorized workers. That data exists; it simply isn't being leveraged. Finally, Congress should take the important step of ameliorating the mismatch between the number of businesses and government resources by legislating a mandatory E-Verify regimen. E-Verify may not be a cure-all, but it goes a long way toward ensuring that government agents (and, for that matter, OCAHO judges) can focus their efforts on the most important and egregious employment violator cases.